In 2011 Jesmyn Ward won the National Book Award for her novel Salvage the Bones, an exploration of one black family’s experience during the 12 days leading up to, and after, Hurricane Katrina. Ward is also the author of the novel Where the Line Bleeds and the memoir Men We Reaped, a deeply felt accounting of the lives of five black men destroyed by experiences with racism in America. Now Ward has compiled an anthology of some of the most innovative and compelling contemporary writers of color—mostly black—writing on the black experience in America. 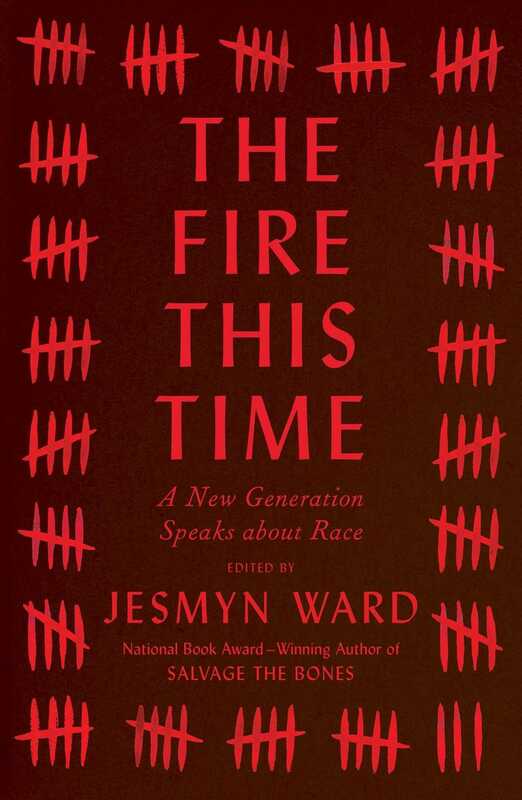 Titled The Fire This Time: A New Generation Speaks About Race in homage to James Baldwin’s seminal classic The Fire Next Time, Ward has given us a profound, necessary work of depth and insight. “After George Zimmerman shot and killed Trayvon Martin on February 26, 2012, I took to Twitter,” begins Ward in her introduction to The Fire This Time. Ward simply didn’t have anywhere else to go to find community to share her frustration, anger and fear. Pregnant and remembering the lives of her brother and several friends who had been killed by similar acts of racial violence, Ward was overwhelmed with the knowledge that Trayvon’s killer would go free. However, when Twitter proved too ephemeral, Ward found solace in rereading her favorite author, Baldwin, and an idea was born. Ward decided to gather other writers and thinkers to craft the words that a “black boy who lives in the hilly deserts of California” or a “girl in rural Missouri could pick up at her local library and, while reading, encounter a voice that hushed her fears.” Ward’s goal for The Fire This Time is for the book to become for today’s youths what Baldwin’s book meant for her—for this book to be the comforting voice telling you that you are loved and valued and worth something in a world that enacts hate and violence upon you simply because of the color of your skin. Ward has assembled a stellar cast of authors: National Book Critics Circle Award-winning poet Claudia Rankine, author of Citizen: An American Lyric; Guggenheim fellow Jericho Brown; cultural critics and best-selling authors Kiese Laymon and Daniel Jose Oldér; Pulitzer Prize-winning journalist Isabel Wilkinson, author of The Warmth of Other Suns: The Epic Story of America’s Great Migration; Pulitzer Prize-winning poet Natasha Trethewey; and award-winning authors Edwidge Danticat and Honorée Fanonne Jeffers, among others. Rankine’s contribution, “The Condition of Black Life Is One of Mourning,” showcases the brilliance that made her lyric poem Citizen one of the best books of the decade. Here, Rankine articulates the special pain held by black parents of black children: the fear that one’s child will become the next victim of racial violence. “There really is no mode of empathy that can replicate the daily strain of knowing that as a black person you can be killed for simply being black,” writes Rankine. Of special note is “Blacker Than Thou,” Kevin Young’s exploration of blackface, pop culture, Rachel Dolezal and American identity. “Sinking feeling,” declaims Young midway through his essay: “blackfaced person always occupies a bigger stage than a black one.” Indeed, Dolezal, a white woman, was offered a lucrative book contract to write about the experience of being a black woman in America. Another piece of particular interest is Laymon’s “Da Art of Storytellin’ (a Prequel),” which looks at the human cost of racial discrimination in the workplace. Laymon’s aging grandmother worked at a chicken plant in Mississippi for 30 years—one of the few jobs available to black women at the time. Here, Laymon’s tribute to his grandmother turns into a meditation on the black body, black love, black creativity and honoring our ancestors. Yet, as well curated as this anthology is, one cannot help wishing for more essays and voices to delve into. If there is anything to quibble at with this anthology, it is that the ending comes too quick. The smaller structure is no doubt a deliberate stylistic choice, given Ward’s choice to model the work after The Fire Next Time, itself a slim volume. But with the terrifying times we are living in, the subject matter is timely, relevant and nearly inexhaustible. Still, there is no doubt that The Fire This Time is a powerful, rewarding read that gets to the heart of what it means to be black in America today.